Matilija Coalition: One of the most common questions we are asked, whether at public events or just hanging out at the beach, is "when is that dam coming out?" Although recent progress on actual dam removal has been painfully slow, there remains considerable interest and support within our community. The Matilija Coalition continues to provide public outreach and education on Matilija Dam. We conducted 4 field tours in 2013, most notably the SERCAL conference (Society for Ecological Restoration California Chapter SERCAL conference 2013). This month I was invited to give a short update to the Ojai Rotary Club. We also work with classes from UCSB, Ojai Valley School, and Ventura College. In 2014 we will also host a fieldtrip for Ventura High School AP science class and another AP Science group called "Get Inspired". Task 1: Dam Removal Plans and Costs - to complete a screening and evaluation process of feasible dam removal and interim notch concepts, and ultimately to complete a conceptual design of up to two (2) preferred concepts that could move forward into permitting and implementation. Task 2: Sediment Analysis of interim and dam removal schemes - evaluate the in-channel and reservoir-area responses to the proposed full dam removal initial options and concepts that will be screened and evaluated in Task 1, with a primary reliance on the simulation of sediment transport processes to evaluate downstream sedimentation and associated flooding risk, as well as (included in Task 1) geomorphologic changes, short- and long-term habitat impacts, and water quality. Task 3: Robles Diversion Mitigation - develop methods to mitigate the impact to water supply through supplying water of acceptable quality during the period of turbidity impact. The work of Task 3 would be done in close collaboration with Tasks 1 and 2. In 2013 a consultant team was selected to perform the additional studies recommended by the TAC. A contract was recently approved by the Ventura County Board of Supervisors, with the work to be sponsored by the California Coastal Conservancy. Work should begin in March 2014. 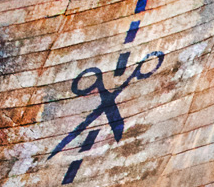 A meeting will be scheduled around the May time frame with the project "Design Oversight Group" in order to consolidate information and brainstorm dam removal alternatives. The studies are anticipated to take about 18 months, at which point we should have a short list of potential project alternatives which will require still more engineering for implementation. and advocacy. The annual conference provides a forum for restoration professionals to share progress and ideas from around the state. We have regularly presented at this conference since 2004, and this year will host a field trip and present on Matilija Dam. 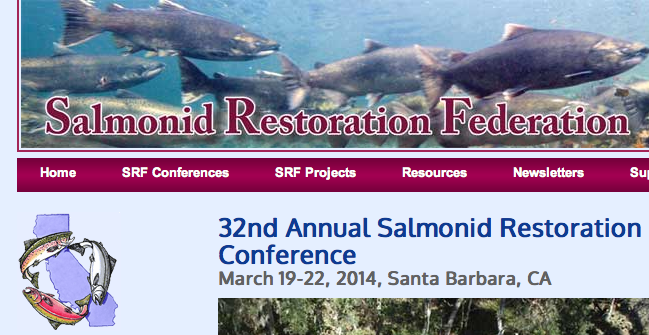 See CalSalmon.org for the full agenda and to register for the conference. 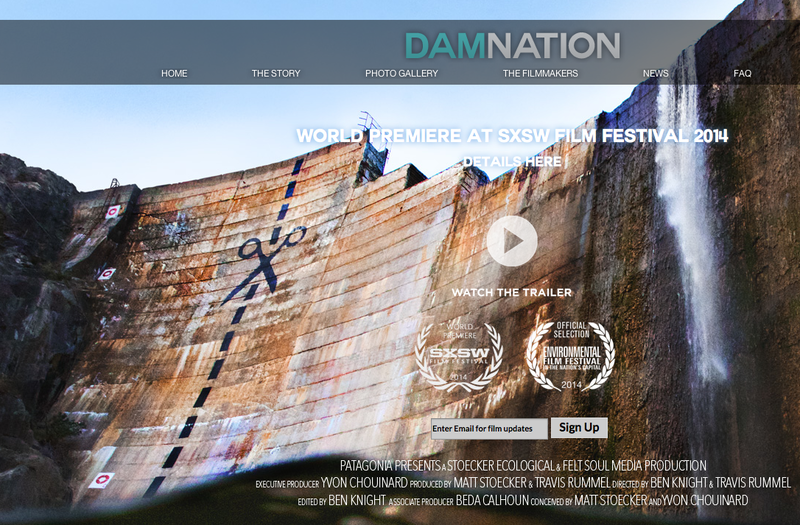 The world premier of the new dam removal film will be at the South by Southwest Music and Film Festival, March 7 - 16, 2014 • Austin, TX. We eagerly anticipate local screenings to reinvigorate the conversation on Matilija Dam. "This powerful film odyssey across America explores the sea change in our national attitude from pride in big dams as engineering wonders to the growing awareness that our own future is bound to the life and health of our rivers. Dam removal has moved beyond the fictional Monkey Wrench Gang to go mainstream. Where obsolete dams come down, rivers bound back to life, giving salmon and other wild fish the right of return to primeval spawning grounds, after decades without access. DamNation’s majestic cinematography and unexpected discoveries move through rivers and landscapes altered by dams, but also through a metamorphosis in values, from conquest of the natural world to knowing ourselves as part of nature." The Surfrider Foundation is the lead organization and fiscal sponsor for the Matilija Coalition, formed in 2000 to consolidate the NGO efforts to remove Matilija Dam from the Ventura River.